Zella Day, Electric Six, and more! 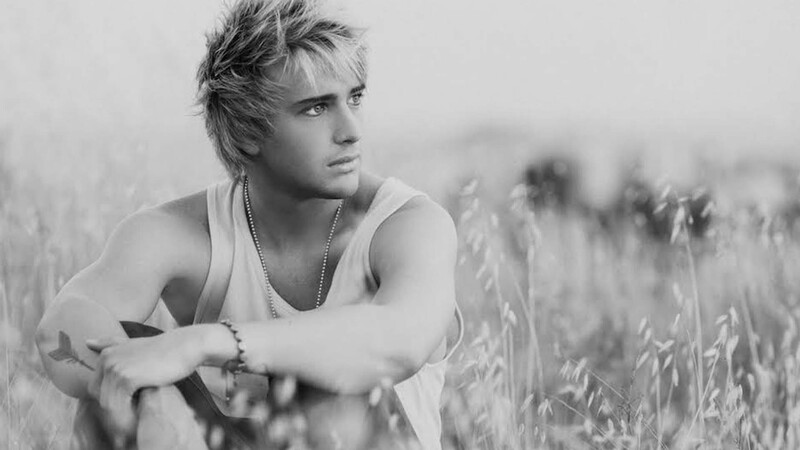 Although FOX's American Idol has officially ended, one of the final season's stand-out contestants, Dalton Rapattoni, is absolutely thriving. Since finishing in the Top Three on the singing competition TV show, the alternative singer-songwriter has been busy creating new music and melting hearts via Instagram (no, seriously he's a great follow). Up until this point, the Dallas native has blessed up with a slew of singles, such as his latest "Signs", which have us amped for his upcoming debut studio album. Dropping on September 22, Nobodys Home will undoubtedly be making waves this Fall. While we're counting down the days until the singer-songwriter's performance at The Studio at Webster Hall on July 27, Dalton switched it up by letting us know who he's excited to see take the stage this year. From Arlington to Zella Day, check out his picks below, then make sure to Track the "Turn to Stone" musician on Bandsintown so you don't miss him on tour later this month! "I've known the guys in Arlington for a long time, but haven't gotten to see them live yet. From what I've heard, they give an incredibly energetic performance that shouldn't be missed. Tyler Benko's lyrics immediately give you something to sing along to, but also have the depth to pick apart and find a deeper, often profound meaning. Grant Whitson brilliantly subverts classic drum patterns at the exact right moments, giving you stand out fills when you need them, and consistent, spot on rhythm when you don't. Channing Peake is one of the most electrifying performers I've ever seen, and his hand moves so fast on the bass you'd swear he's summoned the speed force from a Flash comic to pull off his complicated, yet memorable bass lines. TLDR: Great dudes, better musicians, even better performers." "I found out about The Devil and the Deep Blue Sea through my Spotify discover playlist, and I was immediately blown away by Lizzie Quinlan's vulnerability and honesty in her vocal performances. Seeing them live would be magic." "Electric Six is one of my favorite bands right now just because of their totally laissez faire attitude and their bombastic stage personalities. Their song "Gay Bar" is gonna be on every party playlist I make until I die, and I'd be so stoked to have the opportunity to see their insanity first hand." "Zella Day is one of my favorites just because of how creative she gets, not just with her uptempo stuff, but also with her more understated material as well. In her song "Jameson" she uses just an acoustic and a steel guitar, which would normally sound like a recipe for a country song, but she completely subverts that expectation and pulls off a beautifully haunting indie ballad—I'd love to see that creativity in action." "Okay so, Frank Turner. Where do I start? He made not only one of my favorite albums, but it also has the best album name I've ever heard. Positive Songs for Negative People, is a brilliant piece of work, and the second track "Get Better" is one of the best "scream it from a mountain top" songs out there. The greatest triumph of this record is its perfect blend of acceptance of hardship and unfettered optimism. Frank Turner is one of the most talented writers around, and I'd love to witness him work."